100,000 Plus Californians Have Migrated to Las Vegas with Another 100,000 Possibly on the Way to the State of Zero Personal State Income Tax. LAS VEGAS, October 8, 2018 – According to findings by the American Community Survey, about 5 million people moved out of California over the last 10 years. The recession, the high housing prices, high taxes and the high cost of living are the major reasons that make people move to another destination. 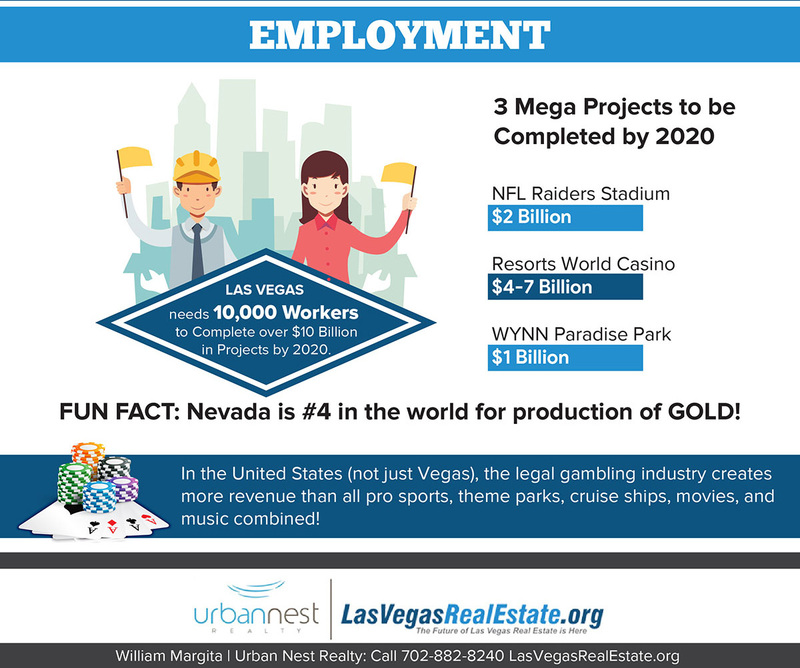 People who are looking for new job opportunities or those looking for a place to retire are the major groups who move to Las Vegas. A recent report by the United Van Lines states that more people are moving to Las Vegas to retire, and around 31.7 % in 2017 and 21.3 % are moving to find better job options. Las Vegas condos are in high demand as they are affordable and a stepping stone for people starting over again in a new city. Even though California is recognized as the center where new technology and developing industries happen, still people are leaving and looking for new opportunities elsewhere. As a home to some of the biggest companies such as Facebook and Google, even some of the employees in these companies are struggling to afford California rents. A growing number of residents are living in recreational vehicles, vans and cars. Brandon, an employee in Google, started living in a truck which costs him $10,000. At the beginning, when he moved from Massachusetts, he was paying $2,000 rent for living in two bedrooms with four people. In an interview with Business Insider, he said, “I realized I was paying an exorbitant amount of money for the apartment I was staying in — and I was almost never home,” he says. “It's really hard to justify throwing that kind of money away. You're essentially burning it — you're not putting equity in anything and you're not building it up for a future — and that was really hard for me to reconcile.” In that event, in order to avoid this scenario and the high housing costs, a lot of people are located in Las Vegas but work remotely for companies in California. Considering that Las Vegas has no state tax on personal income and some of the lowest tax rates, a lot of start-ups and tech companies are relocating from high-taxes in California. The cost of living in Las Vegas is by 22-33% cheaper when compared with California – specifically, the housing costs. According to Zumper, the median monthly rent for a one-bedroom apartment in California is around $3,400, unlike in Las Vegas, where it costs around $925. Renting a two-bedroom apartment in California is $4,500, while in Las Vegas the median rent cost for a two-bedroom apartment is $1,122. Although the home prices in Las Vegas are on the rise as well, they are still affordable when compared to California. This is another reason people move to Las Vegas, especially elderly people with families to invest in Las Vegas townhomes for sale with a median price of $235,000, as buying a house in California is obviously harder. The reason they move to Las Vegas is to enjoy all the things that are almost impossible to do in California for the money, at the same time, to be able to save money and make a lifetime investment – buy their own home. William Margita, a local Las Vegas agent with LasVegasRealEstate.org says, “The reason they move to Las Vegas is to enjoy all the things that are almost impossible to do in California for the money, at the same time, to be able to save money and make a lifetime investment – buy their own home.” The Las Vegas real estate market is very close to achieving long-term stability compared to the last few years. Finally, after some time, significant improvements were achieved including economic, population and career growth, which contributed to recognizing this place as the country’s number one real estate market, attracting newcomers every day. Mainly, the largest groups of people moving to Las Vegas are coming from California. For current news and development on the Las Vegas housing market and real estate trends visit www.lasvegasrealestate.org.